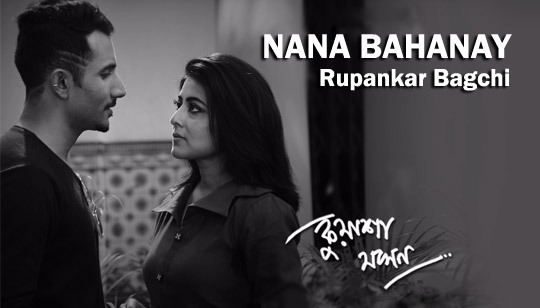 NaNa Bahanay Lyrics by Rupankar Bagchi from Kuasha Jakhon Bengali Movie Music composed by Chirantan Banerjee And Bangla Song Lyrics written by Rajiv Dutta. Starring: Gargee RoyChowdhury And Rishav. This Bengali Movie Directed by Meenakshii & Abhishek. Pore nio chokh se tomake chaay..